After five days of experiencing the Shanghai World Expo, I was reminded over and over of several impressions of the Chinese culture I had formed so far this semester. Civility by American standards is completely different here… pushing and pulling is acceptable in any form of line, children urinating on public sidewalks are common, and drivers are rarely hesitant to run you over while crossing the street. It was not until arriving at the Expo however, that I observed the seemingly indifferent manner of many Chinese visitors towards any and all content within the numerous pavilions. I can’t count the number of times that I witnessed Chinese expo-goers breeze through the wealth of information in the multi-national exhibits, stopping only to take a photo in front of each display. At first I was almost angered by this, but upon further reflection and reading, I realize now that this behavior is not a shortcoming of Chinese culture, but perhaps evidence of globalization’s affect on this developing nation. Hans Ibelings explains the phenomena of globalization in his publication Supermodernism Architecture in the Age of Globalization and how, “increased mobility and telecommunications and the rise of new media, all of which have been ascribed a major role in the globalization process… alter our experience of time and – especially relevant in this context – space.” He goes on to argue that the world is “smaller… and closer” due to the immediacy one can experience nearly anything via electronic medium such as internet and video. It is no doubt that the Chinese are at the forefront of this digital age. Nearly everyone here is always busy with their phone, camera or hand-held television, on subway cars, during meals, even while walking. The virtual fly-thrus and touch-screen tours found in the back of taxicab headrests instill such familiarity with the expo that you almost feel like you’ve been there beforehand. This is perhaps why many of the Chinese visitors struggle with, “the paradox of the expanding world… for while the area designated as familiar territory is larger than ever before, people find the world less and less meaningful, precisely because a large portion of the known world is familiar only from a fleeting visit.” With “the rising tide of information” it is then unnecessary to waste time learning from exhibits that are much more easily experienced digitally. To take another stance on this observation, it is worthwhile to evaluate Chinese experiential values. One will notice that the Chinese always include themselves as the subjects of their photos, as opposed to Americans who often only shoot the architecture or exhibits. Perhaps this is telling of the importance they place on substantiating their experience, rather than the experience itself. This is, in a sense, a very symbolic materialization of an experience, which is even better represented by the artificial passports sold at the expo. A popular piece of expo memorabilia, the booklets showcase stamps from each and every pavilion visited. 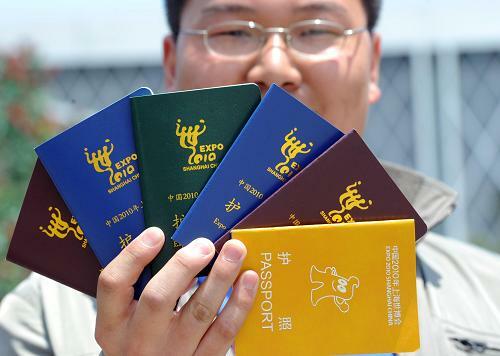 The fact that there is high demand for pre-filled passports from locals indicates that they value the “proof” of their visit, which embodies “a bearer of meaning, a conception that lead to special attention being paid to the symbolic dimension”, a characteristically post-modern idea from Ibelings’ commentary. Whether or not Chinese cultural ideals fall at either end of this spectrum – post-modern or supermodern – is hard to say. Chances are it is somewhere in between, in the gray area as we have discussed time and again these past months. It will also be interesting to see how we can apply Ibelings’ analysis to the architecture and urbanism of Shanghai, once we are able to explore more of the city.